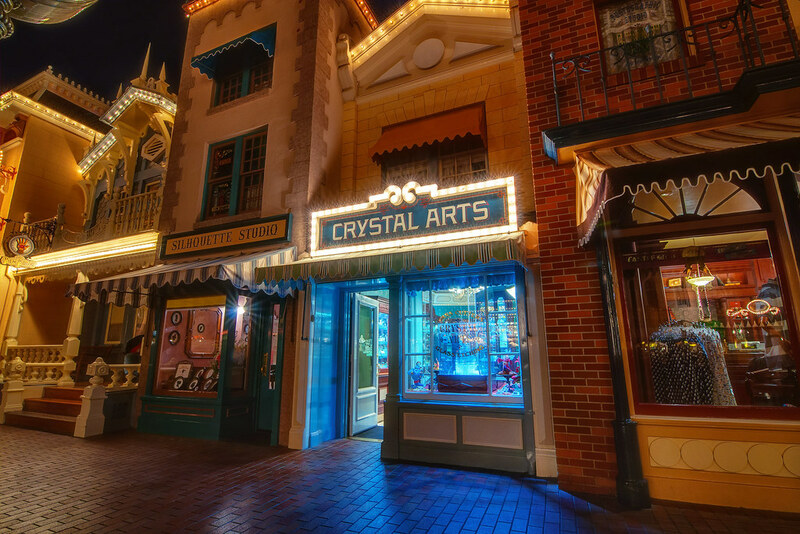 Strange as it may sound for a guy, Crystal Arts is my favorite place in Disneyland. I like to say that I must be descended from birds, because I’m drawn to shiny and glowy things. This shot’s got a bit of both. This entry was posted in Main Street USA and tagged Crystal Arts. Bookmark the permalink.